Leeds United legend Eddie Gray has insisted out that Patrick Bamford is still recovering from the knee injury he suffered earlier in the season, indicating the striker's best will only come next year. Bamford returned to goalscoring form in midweek when his brace earned Leeds all three points at Preston North End and helped them regain second spot in the Championship table. The striker went into the game on the back of four games without a goal and was attracting criticism for missing golden opportunities inside the penalty box. The Leeds legend insisted despite the poor run of form, Bamford’s goalscoring record for Leeds has been excellent this season and he has never shirked away from the spotlight. 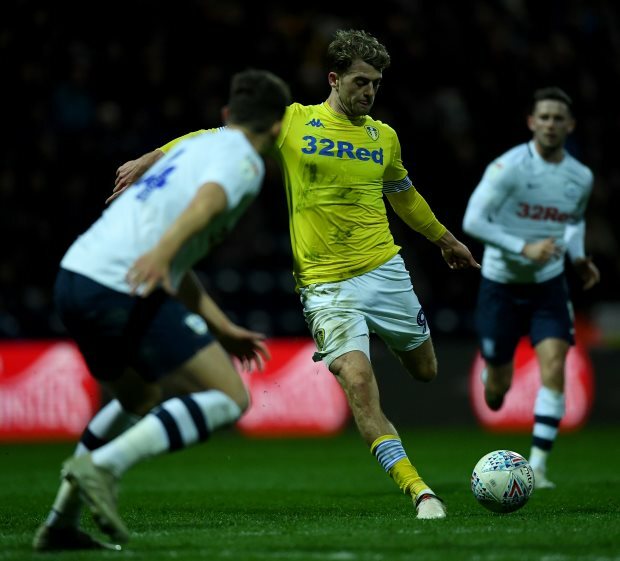 The former White also stressed that Bamford is still not 100 per cent because of the knee injury he suffered earlier in the season and it could be until next term before he is at his best. The Leeds legend said on LUTV: “He didn’t go into hiding and he missed a few chances by his own admission. “But the thing about him is when you actually look at his goalscoring record, it is tremendous. “The injury he had was a bad injury and he is not going to be 100 per cent fitness wise until next season. The 25-year-old has netted nine goals for Leeds this season in all competitions.